Sending the murderous mob was the fatal mistake that drove Irish opposition to Britain to new heights. Winston Churchill, British Secretary of State for War, sent the Black and Tans into Ireland on March 25, 1920, ninety-eight years ago today. It was a fatal mistake by the British that drove Irish opposition to British rule to new heights. Churchill and the war cabinet were utterly unable to come to terms with the rise of Irish republicanism in the wake of the 1916 Rising. Indeed, they put the War of Independence down to thugs and fanatics. They learned nothing from the 1918 election which saw Sinn Fein win 73 percent of the vote in the 32-county election. The government was also filled with unionist sympathizers, Churchill among them, who had stood idly by while Unionists armed themselves and carried out pogroms. Their attention was completely on the aftermath of the Great War, and Ireland was an utter nuisance. The Black and Tans, who arrived in Ireland for the first time on March 25, 1920, were Churchill’s last roll of the dice, a desperate attempt to defeat the Irish rebellion. 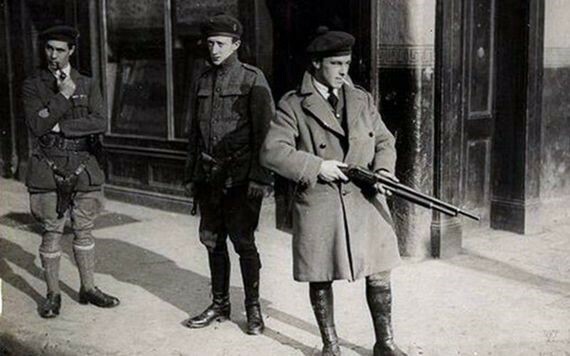 Black and Tans on patrol on the streets of Ireland. The Black and Tans and the Auxiliaries, another murderous bunch, would instead blacken Britain’s reputation worldwide. Millions of Irish and Irish Americans were raised on stories of the Black and Tans’ atrocities in Ireland during the War of Independence. This includes former Vice President Joe Biden, by his own account. The Black and Tans were a force of temporary constables recruited to assist the Royal Irish Constabulary in maintaining control over the IRA during the Irish War of Independence. They were generally thought of as the scum of the British system – British ex-soldiers, many ex-prisoners, some turned psychopaths who formed an evil and murderous militia. “Should the order “Hands Up” not be immediately obeyed, shoot and shoot with effect. If the persons approaching a patrol carry their hands in their pockets or are in any way suspicious-looking, shoot them down. You may make mistakes occasionally, and innocent persons may be shot, but that cannot be helped, and you are bound to get the right parties some time. The more you shoot, the better I will like you, and I assure you no policeman will get into trouble for shooting any man’ … hunger-strikers will be allowed to die in jail, the more, the merrier. Some of them have died already and a damn bad job they were not all allowed to die. That was too much for an Irish-born recruit. Mee returned to Sligo and joined the IRA, working closely with Michael Collins. General Henry Tudor, himself a big supporter of reprisals was reputedly horrified by Smyth’s remarks (which were published in the Irish Bulletin of 9 July) and placed the incident on report. Within 24 hours of this speech being made, a copy was in the hands of the Irish Republican Brotherhood. The content of this talk was delivered to Michael Collins by one of the R.I.C. men who were present. On it was written: “Now Men” justice should be swift and ruthless. (signed) L———. (illegible scribble). By 24 June, a transcript had been sent to every I.R.B. unit in the country. (Pat Purcell Papers). Smyth would pay dearly for his outrageous comments. 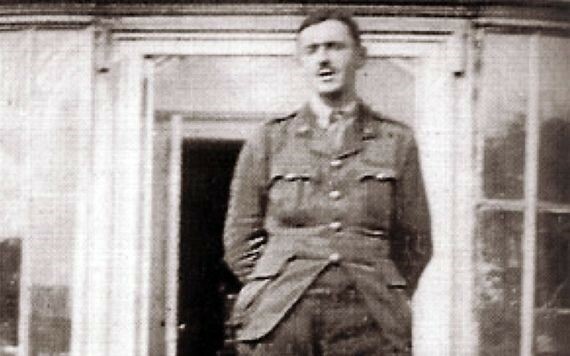 Colonel Smyth jumped to his feet before being riddled with bullets. Despite being shot twice in the head, once through the heart and twice through the chest, the Colonel staggered to the passage where he dropped dead. He was 34 years old. 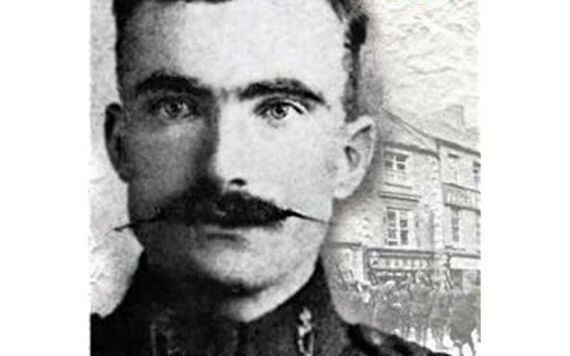 Colonel Gerald Smyth was buried at Banbridge, County Down on 20 July 1920. His funeral was followed by a three-day pogrom against local Roman Catholic homes and businesses. One Protestant man was shot by the RIC and killed, and three Irish nationalists were convicted of firearms offenses. As was clear from that pogrom in the North bad and all as the Black and Tans were they were not as bad as the Ulster Special Constabulary. In his book about the era, “1920-1922 The Outrages” by Pearse Lawlor, published by Mercier Press, he makes it clear that the worst of all groups, including the Black and Tans, were the Ulster Special Constabulary. Lawlor discusses the numerous atrocities they carried out. He covers the pogroms against Catholics in at least three major towns led by an off-duty Ulster Special Constabulary, later known as the ‘B’ specials, and they leave even the Black and Tans in the halfpenny place when it comes to murder and mayhem. They began their reign of terror at the behest of Winston Churchill on March 25th, 1920, 98 years ago today. It was one of Ireland’s darkest hours. British Secretary of State for War Winston Churchill was the man who sent the Black and Tans to Ireland on this day in 1920.